John F. Allen, Eric Garrison, R.J. Sullivan and Michael West are selling and signing at Bookmama’s in Irvington, Indiana, 9 Johnson Avenue (click that link for location and other details) this Saturday, July 13, from 2-3 p.m. The authors are all affiliated with Seventh Star Press and the Indiana Horror Writers. Three authors are offering brand-new releases exclusive to this event first! When I say brand-new, I mean you can’t even purchase these books though normal retail or internet outlets for a few more days. I mean the first print run in still the mail to the authors and will get here just in time. Bookmama’s will be the very first place in the galaxy you can buy these books!! Let’s break down the new stuff. 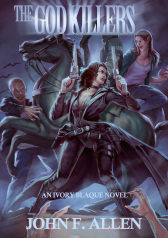 New voice John F. Allen will be offering the first book of the Ivory Blaque trilogy through Seventh Star, The God Killers, here BEFORE HIS OFFICIAL BOOK LAUNCH NEXT WEEK, featuring cover and interior art by Enggar Adirasa! 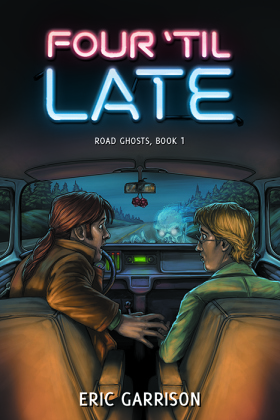 Eric Garrison will release Four ’til Late, the first book of his Ghost Roads Trilogy, with new cover and interior art by Bonnie Wasson! 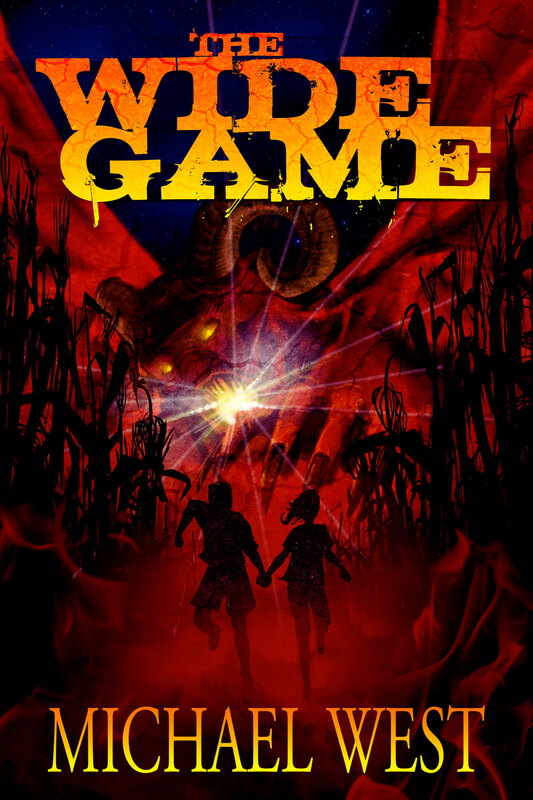 Michael West is bringing the highly anticipated re-issue of The Wide Game, with new cover and interior art by Matthew Perry! There will be author readings. And snacks. And temporary tattoos. A good time is guaranteed. Hope to see you there. The God Killers by John F. Allen; Blue Spirit*, Four ’til Late, and Reality Check** by Eric Garrison; Haunting Blue*** (Limited copies!) and Haunting Obsession by R.J. Sullivan; Cinema of Shadows, Poseidon’s Children, Spook House, The Wide Game, and Vampires Don’t Sparkle! (Limited copies!) by Michael West. Books are $15 per title except Haunting Blue, $20.00. All titles are Seventh Star Press releases unless otherwise indicated. This entry was posted in Uncategorized and tagged Book Promotion, book signing, Bookmama's, Damnation Books, Eric Garrison, ghosts, Haunting Blue, Hydra Pulications, Indiana authors, Indiana Horror Writers, John F. Allen, Michael West, R.J. Sullivan, seventh star press. Bookmark the permalink.